When Stephen K. Burley assumed the role of Director last July, we focused initially on re-examining the Vision, Mission, and Core Values of the RCSB PDB organization. These discussions underscored the importance of continued scientific excellence and our enduring commitment to serving a diverse and growing user community. The new wwPDB Deposition & Annotation System has received more than 7,000 submissions and released more than 3,100 entries. The rcsb.org website continues to build its audience, and receives an average of 668,000 visits from 283,000 unique visitors each month, who are enjoying the benefits of recently added educational and analytical resources. In addition, the foundation has been carefully set for several new initiatives that will come to fruition over the next few years. As Director, Burley follows Helen Berman, who has led the RCSB PDB since it was established in 1998. 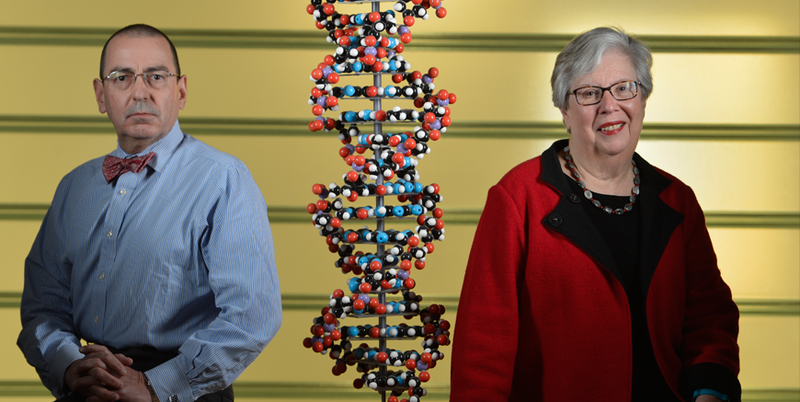 Helen has been involved with the PDB for more than four decades. She was a member of the original team that founded the archive in 1971, and played a pivotal role in establishing the Worldwide PDB collaboration in 2003. Today, she serves the organization as Associate Director of the RCSB PDB. In her current role, she is focusing her community- and archive-building skills on integrative methods as described in the recent White Paper from the Hybrid/Integrative Methods Task Force. Other leadership transitions during the past year include the retirement of Martha Quesada, who served as Deputy Director from 2007-2014. In addition to running the operations of the RCSB PDB, Martha's vision and commitment were key to her leadership of the oversight and management of the wwPDB Common Deposition & Annotation System that is now in use across the wwPDB. Today, Stephen and Helen lead the project with the help of RCSB PDB's Senior Staff, whose combined length of service at the RCSB PDB exceeds 100 years. The Senior Staff includes the new Deputy Director Christine Zardecki, Data & Software Architect Lead John Westbrook, Biocuration Team Lead Jasmine Young, and Principal Scientific Application/Web Developer Zukang Feng at the Rutgers site. UCSD hosts Site Head Peter Rose, Development & Operations Manager Cole Christie, and Technical & Scientific Team Lead Andreas Prlić. The full list of Senior Staff and Team Members can be found online. The entire RCSB PDB staff looks forward to continuing to develop and enhance structural views of biology that will inspire, enable, and inform our diverse users. Helen Berman remembers two very influential members of the PDB community who passed away in April. As a postdoctoral fellow at MIT in the 1960’s, Edgar Meyer developed some of the earliest programs for the visualization of protein molecules. He then continued this work as a faculty member at Texas A&M University (TAMU), and during summers spent at Brookhaven National Laboratory (BNL) where he collaborated with Walter Hamilton. During that same period, he worked with the community on a series of activities that eventually culminated in the creation of the Protein Data Bank at BNL in 1971. Edgar also helped establish the CRYSNET network to enable researchers to access PDB data and work on large calculations remotely. CRYSNET initially connected BNL, TAMU, and the Fox Chase Cancer Center, and then expanded to include other institutions. When Edgar retired from TAMU in 2003, he focused on sculpture. His works, viewed online at molecular-sculpture.com, exemplify his very strong structural aesthetic. His memoir is hosted at the ACA History Portal. Edgar is survived by his wife, children and grandchildren. John Wooley was trained as a biophysicist at the University of Chicago, and then became an assistant professor at Princeton University. In 1984, he became the founding director of the Division of Infrastructure and Resources (now the Division of Biological Infrastructure) at the National Science Foundation (NSF). 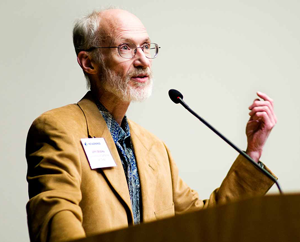 In this position, John was able to realize his vision of bringing the computational sciences into all aspects of biology. For example, under John’s watch, computational structural biology matured and flourished. 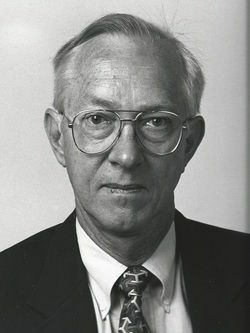 He sponsored numerous formal and informal workshops in which structural and computational scientists discussed what would be needed to move the PDB from a set of flat files to a searchable data resource. After leaving NSF, John joined the Department of Energy as the Deputy Associate Director in the Office of Science. In 1999, he was recruited by UCSD to serve as the Associate Vice Chancellor. While there he helped to establish Calit and CAMERA, and led the bioinformatics core of the Joint Center for Structural Genomics. John was a very talented and active photographer who was able to capture much of the beauty of nature. These photos are a gift to us and gave him great pleasure. John had been ill for more than thirty years. Throughout his life John had very big ideas, inspired others to do the same, and was amazingly productive. He leaves behind his wife, his son, and many, many friends who will miss him dearly.